If you're looking to get fully immersed in the local rock scene, Re:lease 2.0 is for you. The event, a collaboration between Re:spect Music Magazine and labels Whatever Music and Frenzi Music, returns for the second year running on November 4 at Chai Wan's VoV Space. The idea: to showcase a collection of the best rock bands in the city who have released new albums over the past year. First up is five-piece Nowhere Boys (pictured), formed in 2014. 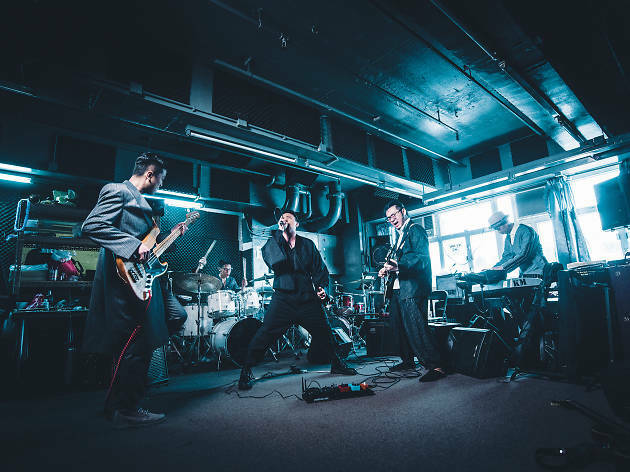 Singer-songwriter Van Chan fronts the band, with jazz drummer Nate Wong, guitar virtuoso Kenneth Angus and psychedelic pianist and violinist Hansun Chan abreast. The quirky combination of musicians yields a spectularly complex instrumental show that's hard to turn your focus away from. Van Chan wrties songs about fears, hopes, fiction and cinematic studies into the follies of youth. Their latest album Welcome to our Hyperreality, released last November, explores a utopia the band has created in an attempt to escape the materialistic world that we live in. Local group Comma is also set to play on the night, having released their debut EP, Midsummer Dream, in September. THeir playful rock has won them awards from their shows at multiple live venues in Hong Kong, at which they have picked up hordes of fans since forming in 2012. The debut record is one to be celebrated, with notably clean production and clear 80s and 90s rock influences.